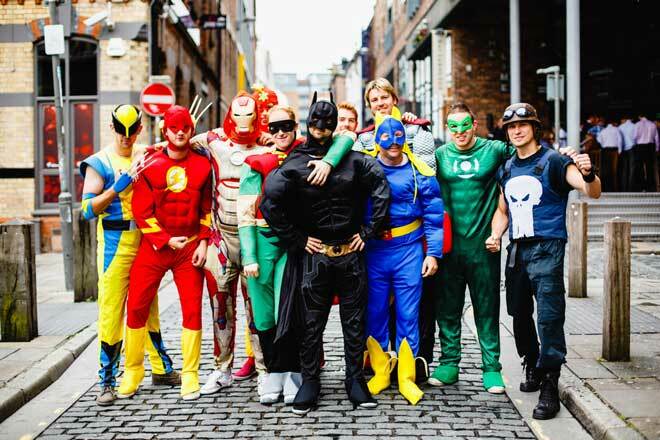 Planning a stag party in Liverpool can be an overwhelming task. You need to please everyone and come up with something incredible that will shock, amaze and impress all the lads. That’s why at Signatures we’ve created the ultimate stag do bucket list for Liverpool, so you don’t have to plan a thing. From the finest bars and nightlife, to the best daytime activities, restaurants and even down to what to drink and eat; everything is here so you and your stags don’t miss a thing. So, listen up grooms, this one’s for you. Have a stag do to remember and book a stay in one of Liverpool famous party apartments. From Signature Living’s amazing pool party rooms to the Shankly’s apartments that can sleep up to 20 people, this city has a great offering for stag dos. Why not book a themed stay in the Haig room, or go all secret agent with the James Bond themed suite. 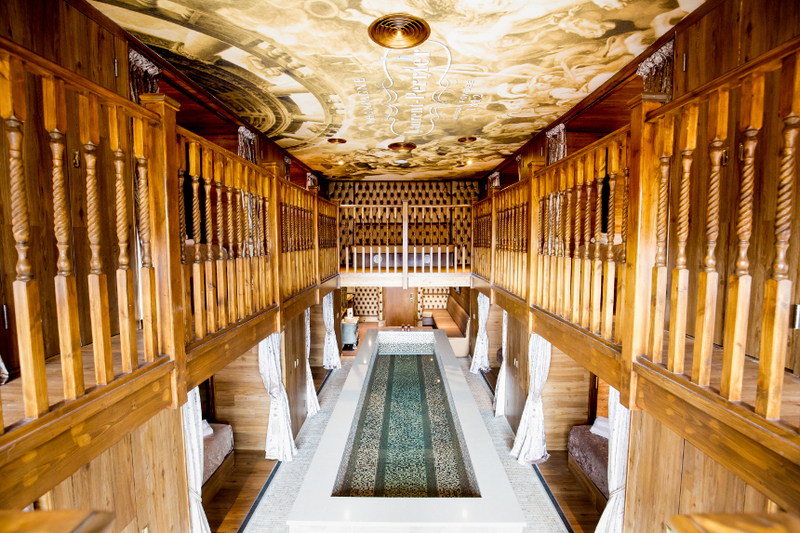 The Laurent Perrier room is our particular favourite, it features it’s own spa pool! 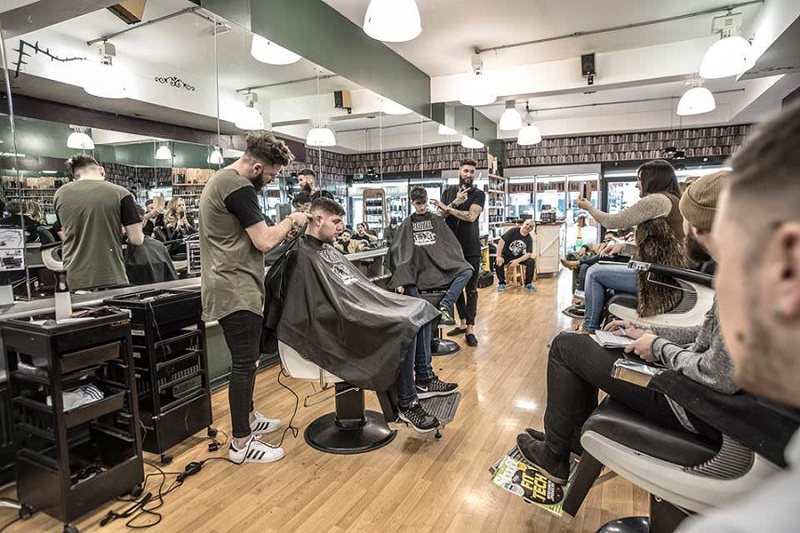 One of the best ways to start your epic stag do is to take the boys for a quick spruce and trim at one of Liverpool’s swanky barbers and get fully groomed before your big night out. BarberBarber is the ultimate luxury for ‘scoundrels and gentlemen’ alike, they always offer an impeccable service. Their extensive knowledge in the craft of hair cutting and bespoke shaving is unrivalled, why not brave a traditional cut throat shave and really show what you’re made of. Expect complimentary drinks, a very clean shave and one of the best haircut’s you’ve ever had. The Barber Shop on Dale Street is a traditional style establishment that has become a firm favourite in Liverpool. Famous in Liverpool for their wacky hair styles, Voodou is one of the most relaxed places to get a chop. 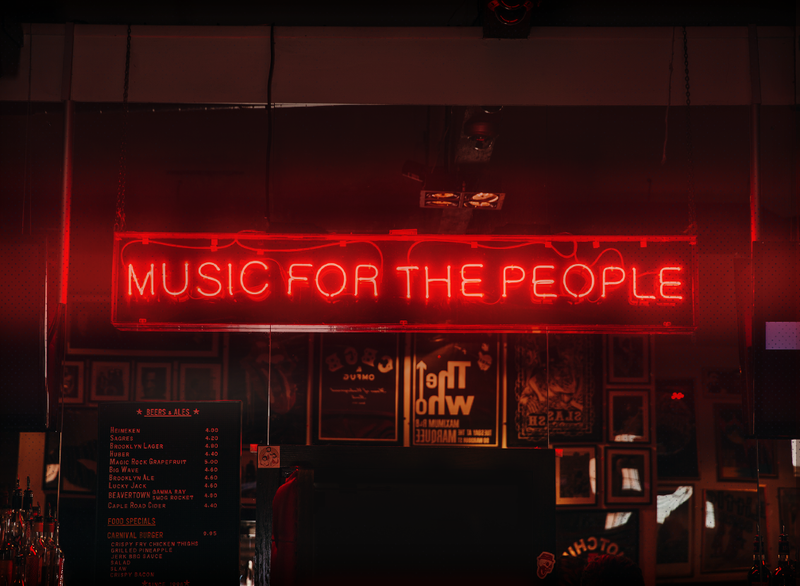 What’s more, you can choose your own music and the beer is always flowing. Whether you and the boys are there for hair or beard maintenance, you’ll leave feeling very fine indeed. Whether you’ve got a theme or not, every stag do needs a few ridiculous props to make it official. The best shops in Liverpool to buy everything you might need to humiliate or delight the stag are Smiffy’s on Bold Street and Lili Bazarre on Tarley Street. Don’t forget the learning sign, a stupid skirt and a wig or two. Now that you’re suited and booted for the stag go, it’s time to start as you mean to go on with some silly activities. One of the most important activities to have on your stag do bucket list, body sphering involves you wearing a massive plastic cushioned ball over your head, arms and torso and running into each other to see what happens. Expect to take part in games like Bulldog and tig; it’s sure to have you all howling with laughter. 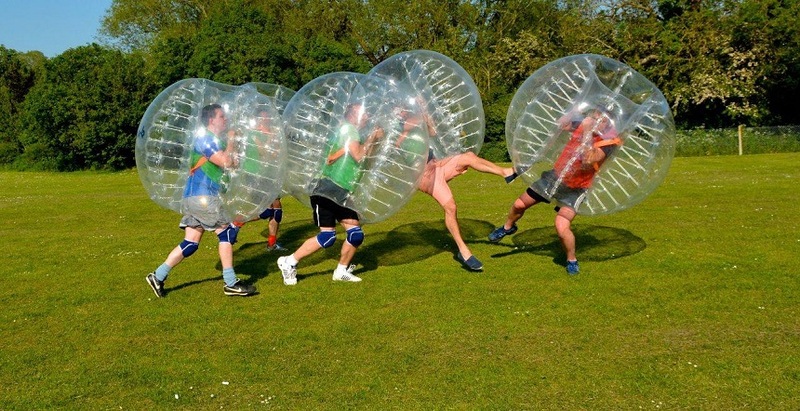 Similar to body sphering, except this time you’ll be split into teams in your bubbles and attempt to play football against each other. It may sound easy but take our word for it, it definitely isn’t. 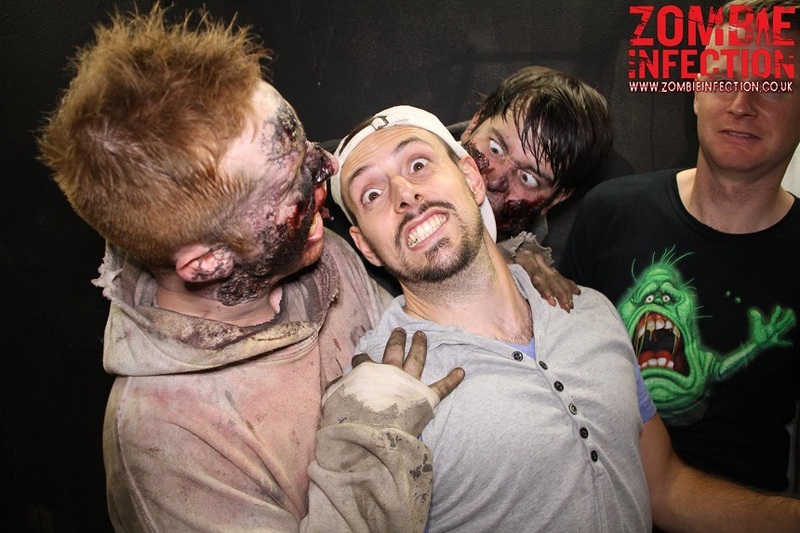 If you’re looking for something that’s going to get the heart pumping and the adrenaline going, take part in one of the amazing zombie survival activities. You and your stags will battle against the clock to escape the deadly infection that is sweeping through the centre of Liverpool. Chased by real life zombies, you’ll need to survive by finding vital pieces of equipment and of course making sure you don’t get caught and infected. Think you’ve got some skills with the ball? Try and bend it like Beckham when you’re wearing some of the specially designed Visual Impairment glasses and you’ll have everyone in stitches. This activity is basically a game of 5 a side football, but everyone is wearing goggles that make the ball either look 5 times further away from you 5 times closer. Another football related activity, but instead this is combined with a spot of golf. The aim of the game is to kick the football into the holes on the course in the shortest number of kicks. Take on nine or eighteen holes of footballing themed golf as you try to bypass the fairways and avoid the sand traps. A must on the Liverpool Stag do bucket list is taking part in a water based activity and braving the River Mersey. 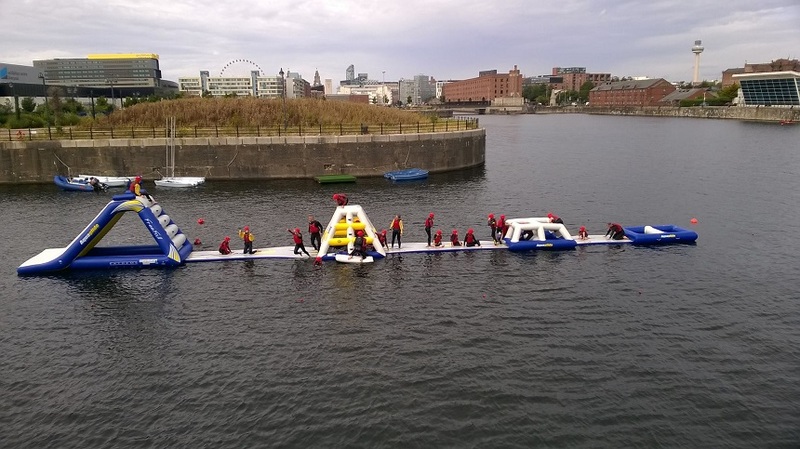 It’s time to get wet and wild as you take to the river on Liverpool Watersport’s obstacle course and water trampoline. See who can bounce the highest or who the first to be catapulted off the water trampoline will be. You can hold race’s or time trials across the rest of the obstacles and enjoy a day of Total Wipeout style fun with your stags. 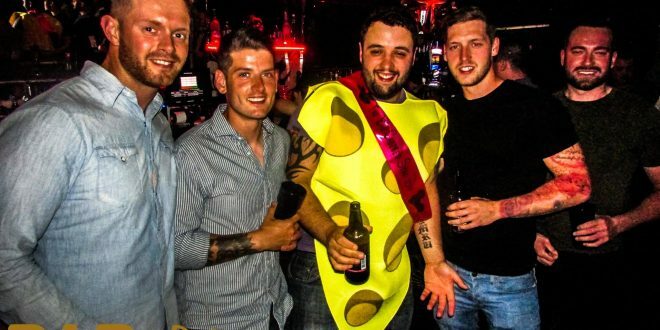 No stag do would be complete without a good old bar crawl, and Liverpool is one of the best cities for it. From traditional boozers, to trendy sports bars and themed establishments, this city has it all and these are the best of the bunch. If you’re all footy mad, the Bastion Bar in the famous Shankly Hotel is one of the best places to head. 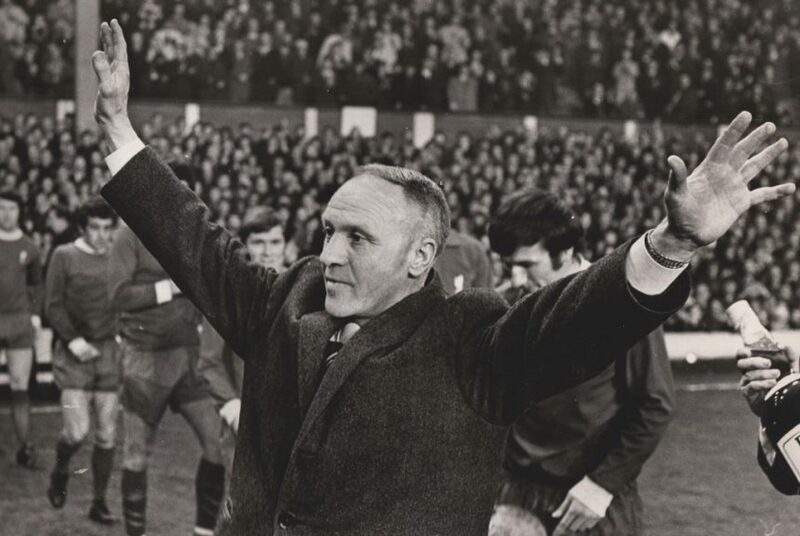 Dedicated to the great Bill Shankly, this top class bar is bursting with football memorabilia and of course lots of beer. Take the boys here for a pint and they won’t be disappointed. 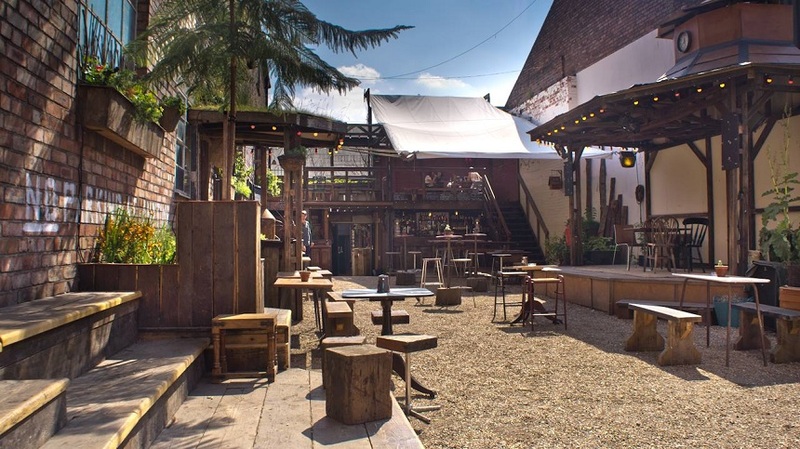 Or if the weathers nice, grab a pint in the Kazimier Gardens and soak up some rays. Hidden in the city centre, on Seel Street, the gardens are a great little hidden gem. There is always a lively atmosphere with regular DJs and the occasional BBQ serving delicious meats, burgers and veggie options. Fancy a guinness? Shenanigans on Tithebarn Street pulls one of the best pints of the dark stuff in the city. There is usually some live music or karaoke going on, or you can play their drinking wheel of fortune if you’re feeling the luck of the Irish. More of a Real Ale Kind of Guy? 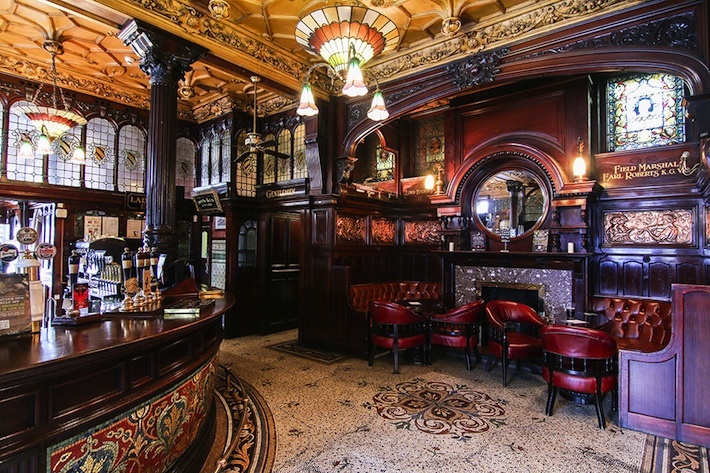 If none of the above take your fancy, head to some of Liverpool’s real ale establishments and get a bit ‘hoppy’. The Ship and Mitre on Dale Street is a pub that has really stood the test of time. It’s become an institution in the city and offers the biggest selections of ales and continental beers on Merseyside. Failing that there’s also the new Dead Crafty Beer Company across the road, the famous Baltic Fleet on Whooping or of the Philharmonic on the corner of Hardman Street and Hope Street. 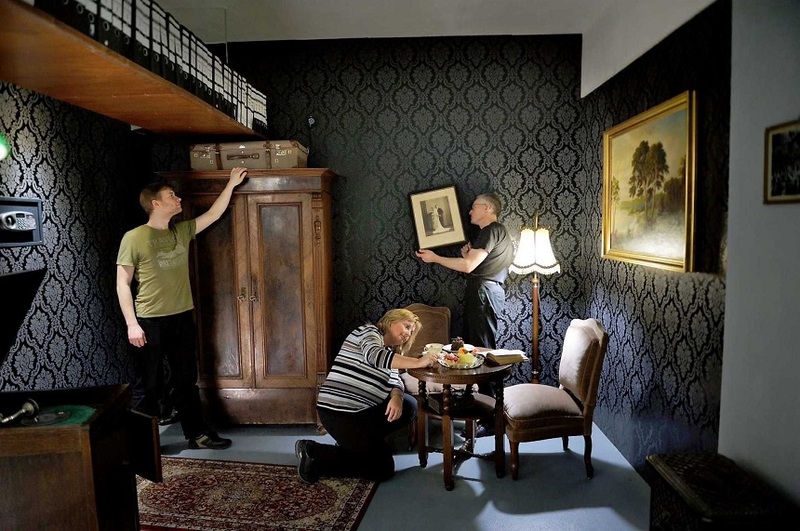 Split into teams of 2-5 people and get ready to test your wit, knowledge and nerve in a 60 minute test in which you and your team will solve puzzles and clues to make it out of a locked room within the time limit. One of the best escape rooms in Liverpool is Breakout, they have a huge choice of themed rooms including Sabotage, Classified, Shipwrecked and Wanted. They all have ranging scores of difficulty, so choose wisely and don’t get too cocky. More of a civilised activity for a stag do, but Liverpool’s city tours are a must if you really want to make the most of your weekend away. From football themed tours, to cultural sight seeing and tours dedicated to the Beatles, you and the boys are sure to find one that suits you. The Shankly Hotel offer a range of football themed tours that all centre around the famous footballing legend Bill Shankly. Choose from the ‘Liverpool was made for me’ tour that includes a visit to Anfield Stadium and Shankly’s favourite places in Liverpool, to the ‘Fab Four and Shanks tour’ that incorporates some of the most interesting places both the great man and the Beatles frequented. There are also a number of Beatles themed tours that are great for any day out. Visit all four of The Beatles Liverpool homes, check out the iconic Strawberry fields and the world-renowned Penny Lane. There’s nothing like waging all-out war on a group of strangers to bring you all together. 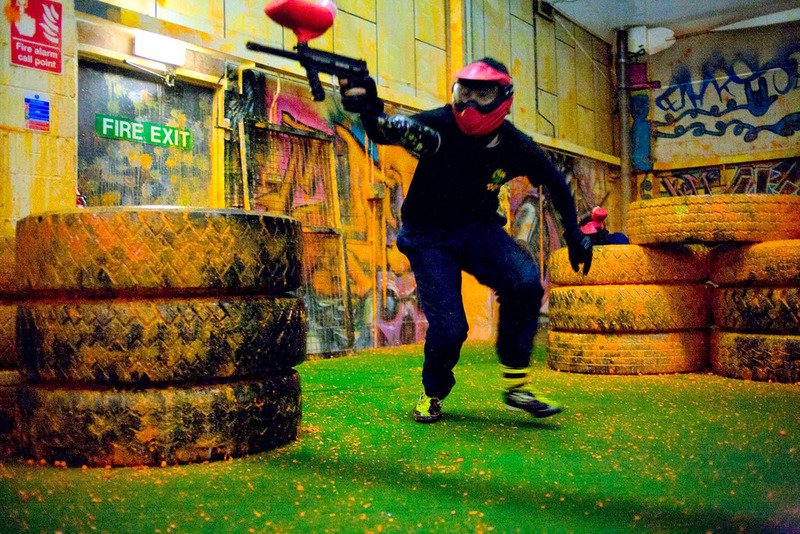 Sign up for Ultimate Indoor Paintball in Liverpool and see which member of your stag do you could count on in the event of an apocalypse. This brilliant activity encourages you to unleash your inner power in the confines of a 7000-sq. foot venue complete with tasks, obstacles and team challenges. If you and the boys don’t want to get covered in luminous paint, opt for laser quest. Area 51 at Belle Vale offers one of the country’s top Laser Quest arenas, a futuristic smoke-filled labyrinth involving lots of lasers and tactics. 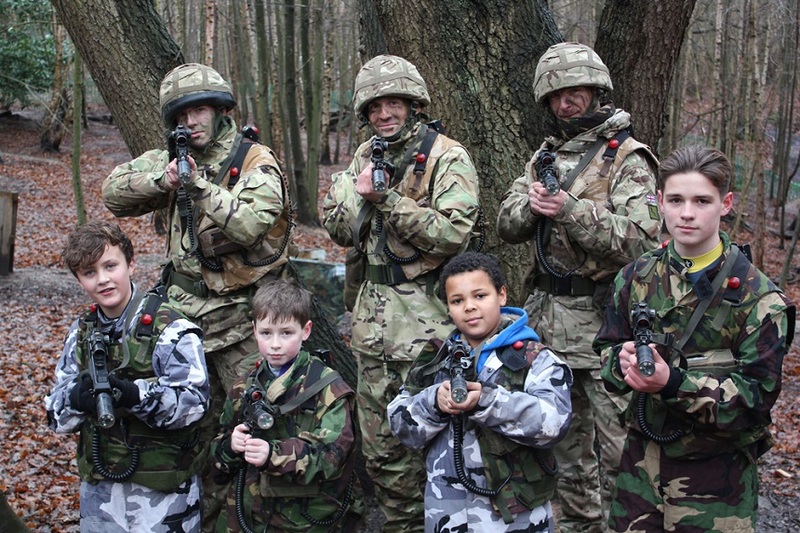 The Dunnings Bridge Road centre is described as an ”authentic combat entertainment experience” that brings games such as Call of Duty to life across zones including an indoor prison, outdoor army base, cargo bay and zombie apocalypse. It’s the ultimate in any laser game. 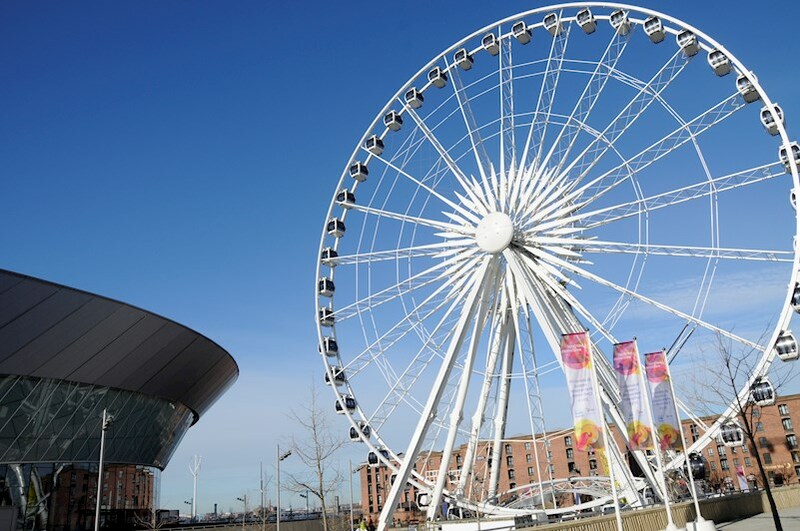 See Liverpool like you’ve never seen it before, take a ride on the iconic wheel and take some snaps you’ll cherish forever. Just make sure none of the stags are scared of heights! Next on the stag do bucket list is quad biking. 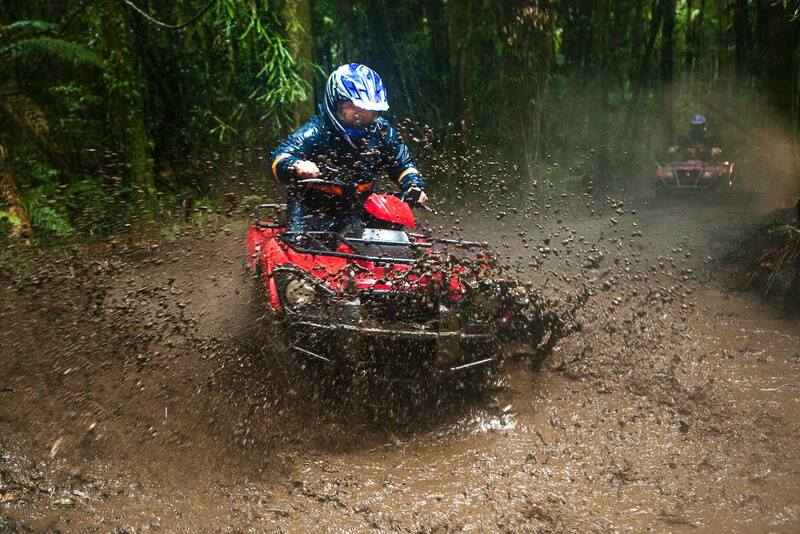 If you and the boys have a need for speed check out this mud-filled fast paced fun. Choose from a range of courses across Merseyside, including one in Formby that features 120 acres of rugged countryside that is tailor made for quad biking. You can go on a biking trek through woodlands and fields, complete challenges and get very very muddy. Another one for the racers at heart, Go Karting is a fab way to get your stags battling it out to see who the best driver is. Once you master the controls and get a feel for the track you can get up to 40km per hour! Get into gear and see who comes away with pole position. Next in our stag do bucket list is, of course, crazy golf. There are two main venues to visit if you fancy testing your putting skills, Jungle Rumble and Ghetto Golf. Jungle Rumble is an 18 hole course featuring live volcanoes and a few special effects, there’s also a bar to keep you refreshed during the game. Or, go for the popular Ghetto Golf, set within Cain Brewery in the Baltic Triangle, this relatively new course is full of neon lights, graffiti and loads of cocktail choices. There are plenty of places in Liverpool that offer rum and whiskey tasting but one of the best that includes both is Liquor and All Sorts. Choose from rum revelry or the whiskey affair and get ready to sample some of the most delicious tipples around. 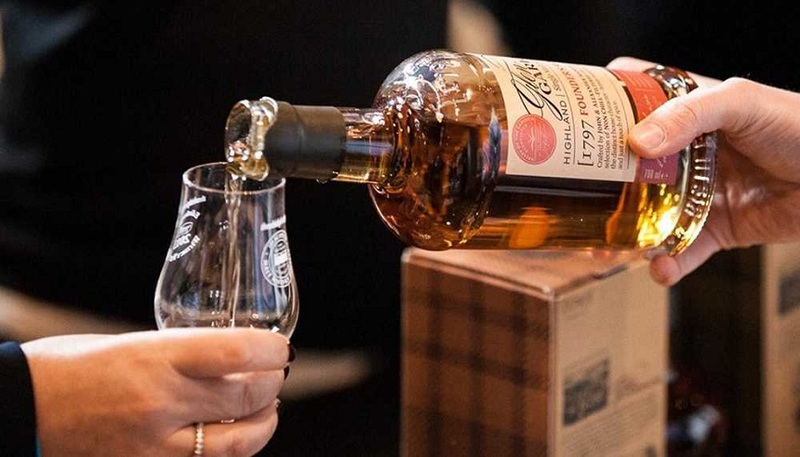 Each session lasts two hours and includes a cocktail, an insight into the history of the much loved spirit, a lesson in the art of tasting and a selection of rum or whiskey. This event is perfect for experts, enthusiasts, novices and beginners. You and the boys will be starting to get peckish, so it’s best to refuel before you brave anymore alcohol. 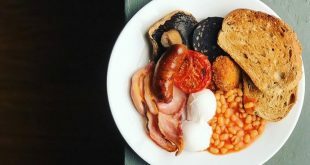 Go for a massive meal or a normal sized one, we’ve put together a mini guide to the best places to get your big or gigantic eats. For the beginners . . . This popular Mexican joint is small yet stylish and the perfect venue for a group meal with your stags. 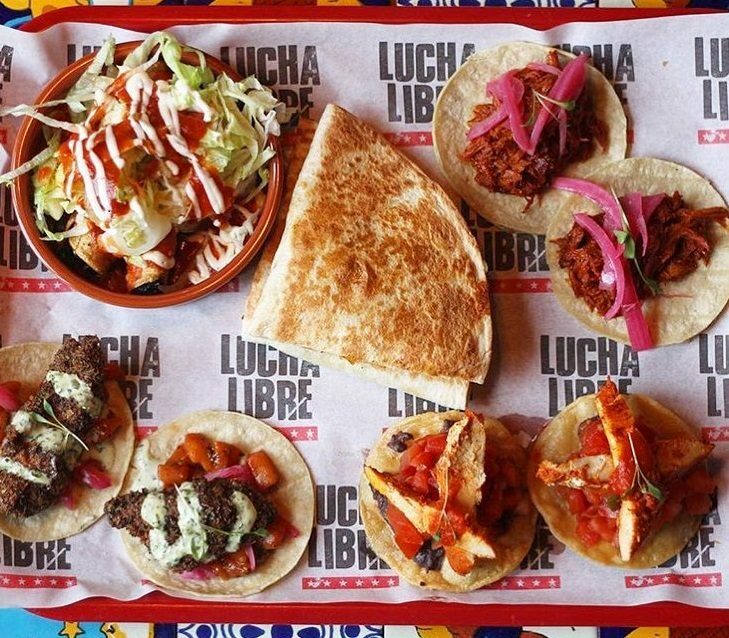 Enjoy anything from fajitas, to burritos, or their amazing sharing boards that are filled with Mexican street food including tasty tacos, quesadillas and nachos. Every burger from Almost Famous is served with a double patty and comes with all sorts of wacky extras like frazzles, bacon fries, waffles and much more. Their chips also come stacked with various mouth watering toppings including pig and waffle fries, and mac balls which feature crispy gooey deep fried mac n cheese balls with bacon mayo. For intermediates . . .
Have an all you can eat pizza party with your group of stags at Santa Maluco. This amazing dining concept originated in the diners of Brazil, a Rodizio of pizzas giving diners the chance to sample whatever pie is ready at that moment. Made using wood burning kilns, and a variety of unusual pizza toppings (including deliciously sweet dessert pizza), Santa Maluco is the perfect place to eat as much pizza as you can stomach. Patterson’s has two pretty massive food challenges. The first is the 15 wings challenge, sound easy? Well what about if they’re coated in super hot sauce? For this challenge you will need a strong stomach and to sign a disclaimer. There’s a 10-minute time limit and if you beat the challenge the meal is on the house. The second challenge is the Quadruple Bypass Burger. This consists of two beef patties, hashbrowns, bacon, two extra thick slices of goat cheese and one block of cheddar, four extra thick onion rings and four pieces of fried chicken and coleslaw with another huge bucket of fries. If you demolish this in 20 minutes, it’s on them. Located in the most popular nightlife area of Liverpool at top of Seel Street, Slim’s Pork Chop Express is like ascending into BBQ heaven. 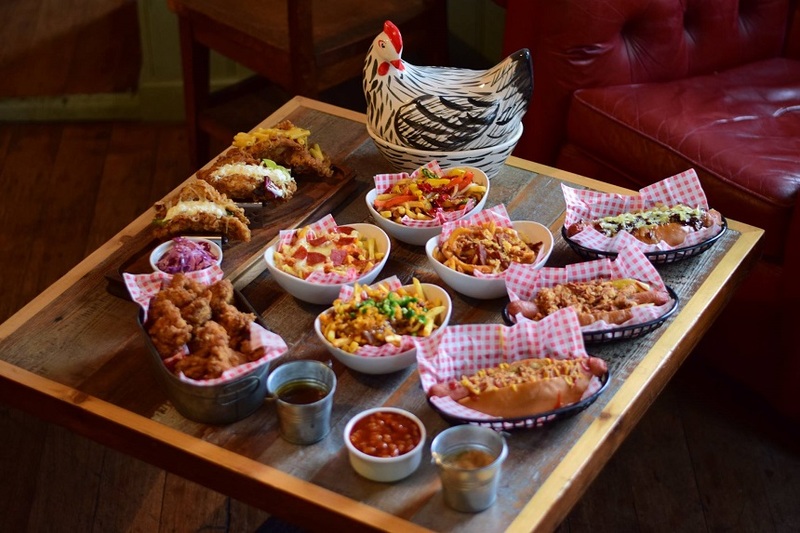 Not only is there a huge menu of mouth watering single dishes and sides but their sharing platters will make your group salivate just reading about them. They have a choice of two different BBQ trays, number one is a meat feast of pork and beef and number two features kornflake chicken and duck smothered fries. If you’re feeling particularly brave, try out one of their famous Crayfish boil’s. 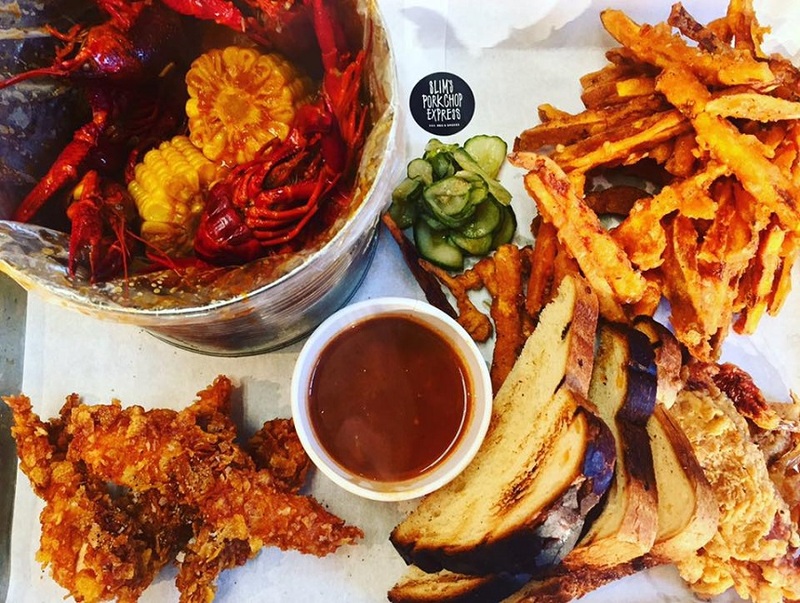 Cooked crayfish in a spicy broth with sweetcorn and sweet chilli sausage, served with Kornflake Fried Chicken, Soft Shell Crab Tempura, Sweet Potato Fries and a PBR beer. The masters . 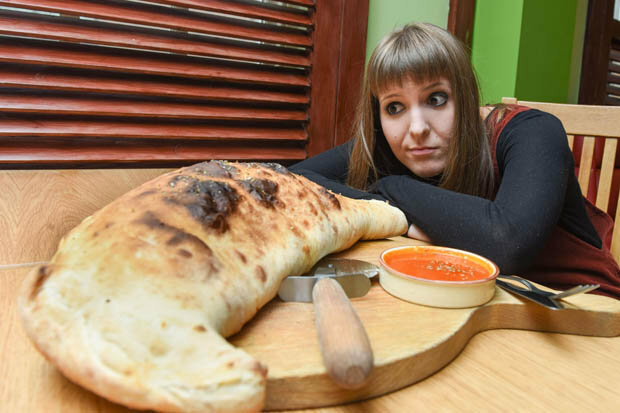 . .
Not one for the faint hearted, this is a calzone challenge like never before. The ginormous folded pizza weighs 5 lbs and includes a delicious mix of meat, vegetables, tomato and loads of cheese. The challenge is to eat it in under an hour to win, but to get on the wall of fame you must beat the fastest time recorded which is currently 13.32 minutes! 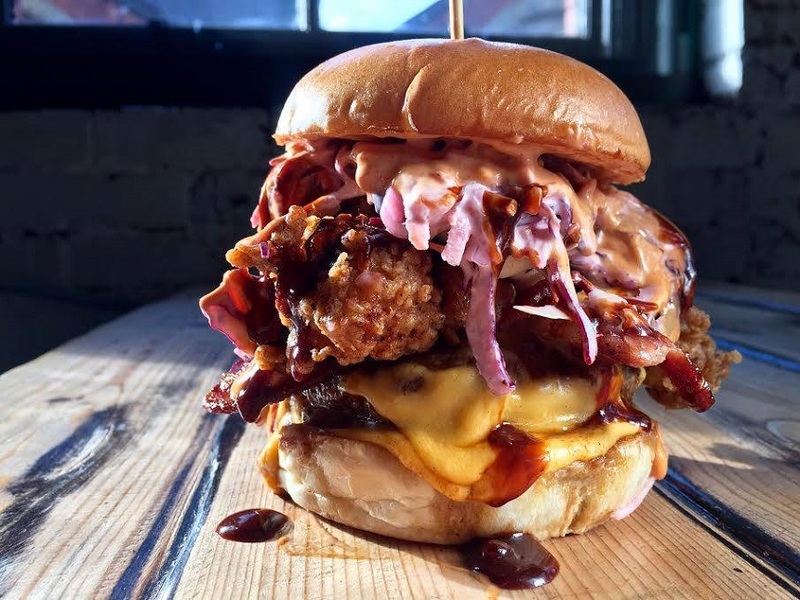 Uncle Sam’s restaurant on Bold Street boasts an impressive array of American-style fare, but the king of the menu has to be their gargantuan, two and a half pound burger. The beef slab itself is a terrifying sight to even the biggest of eaters, but that’s the tip of the iceberg. Along with two varieties of cheese, the 40-ounce burger is piled with chips, onion rings, bacon and tomato sauce, all packed into an 11-inch bun. Queue the meat sweats. 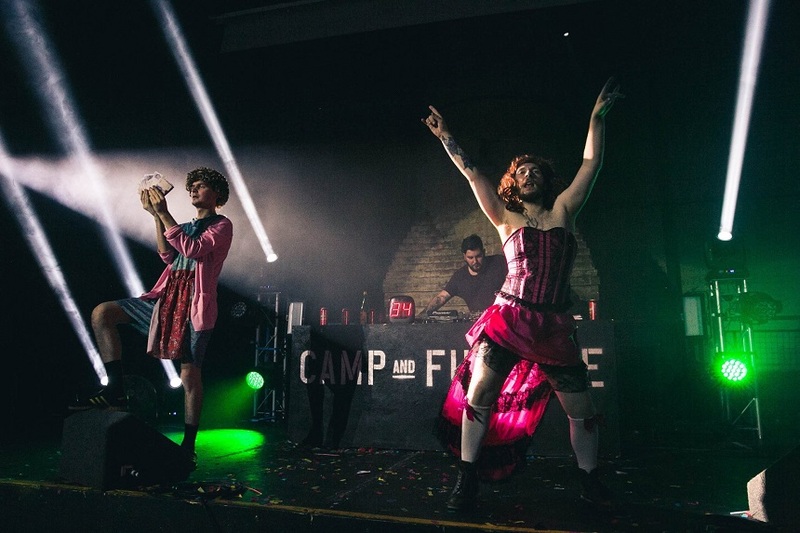 If you haven’t heard of Bongo’s Bingo’s yet, have you been living under a rock? It’s bingo, but not as you know it. Hosted by Jonny Bongo, this evening will definitely be the most bonkers night at the bingo you’ve ever experienced. With mental prizes including mobility scooters and various inflatable items, big tunes and amazing cocktails, you’ll wake up the next morning questioning whether it was all a surreal dream. 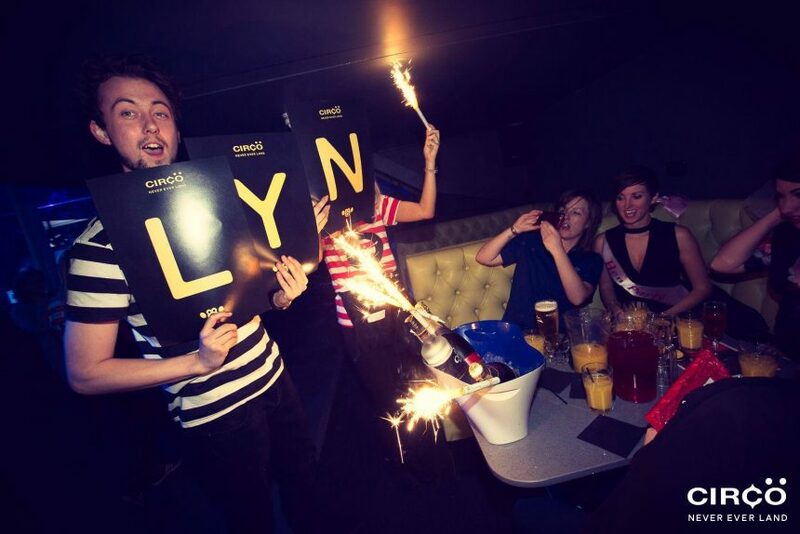 Arguably the event that made Alma de Cuba the number one destination for a night out in Liverpool, the Petal Shower is the ultimate stag do experience. 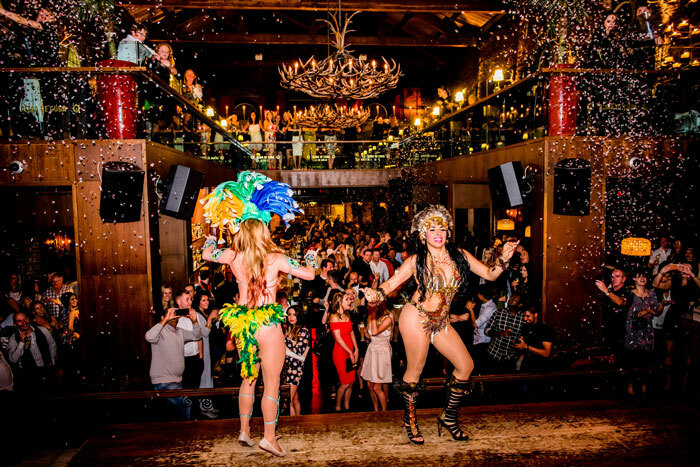 Every Friday and Saturday night, the amazingly talented samba dancers take to the dance floor to strut their stuff to the packed venue. Watch as they shake their tail feathers to Latin inspired music, under a shower of stunning rose petals. It’s one of the most spectacular evening shows you’ll see in Liverpool and with the amazing backdrop of this converted church, it’s an experience you’re unlikely to forget. You can also book a booth for you and your stags, so you have front seats to all of the action. If you time your stag do just right, you could slot in one of the biggest horse races of the year, the Grand National at Aintree. 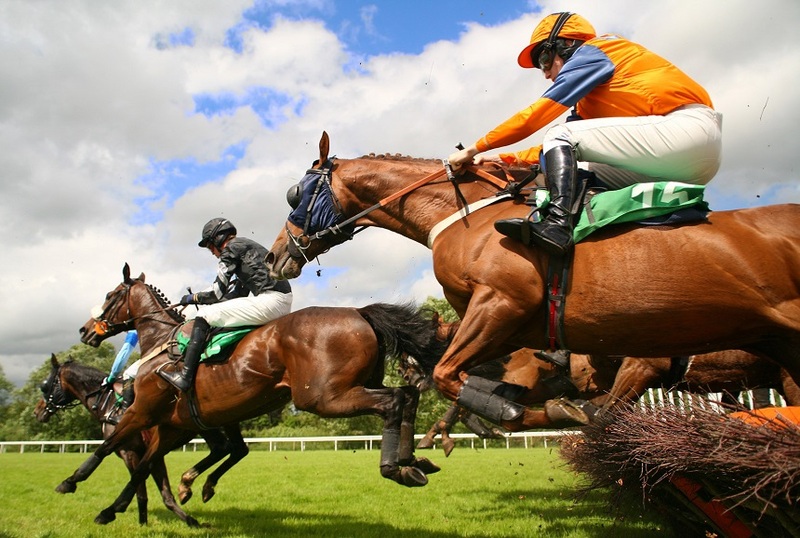 Every year people from across the UK gather in Liverpool to enjoy the thunder of hooves and the clinking of champagne glasses at one of the country’s most eagerly anticipated horse racing events. Plus, everyone always enjoys horse-themed fancy dress after all. Whether you like to admit it or not, karaoke is always a fun idea, and it’s even better on a stag do. As you would imagine, Liverpool offers a wide selection of places that offer karaoke. There’s Woody’s who usually show the footy followed by a sing song from Thursday to Monday. 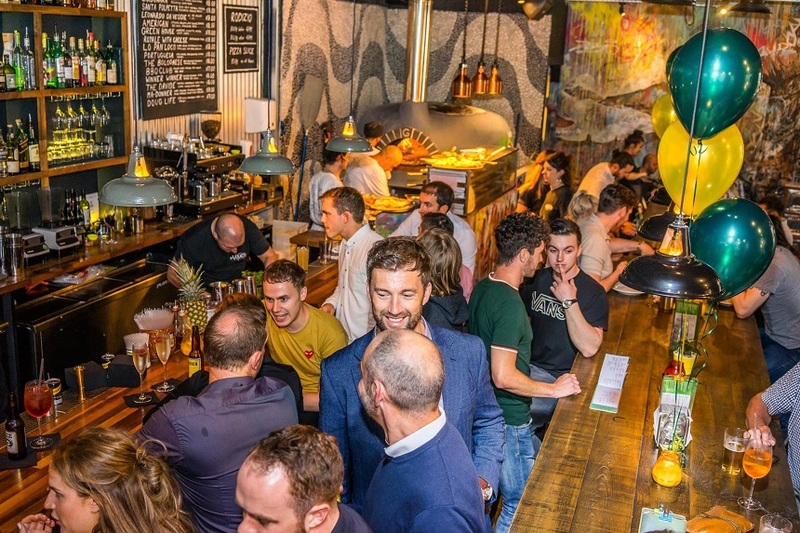 Or go for Coopers, a much smaller venue but it’s popular with locals and tourists alike as it is known for having a great atmosphere and warm welcome. If you’re looking for something a bit more private, try out one of the karaoke booths in Chinatown. 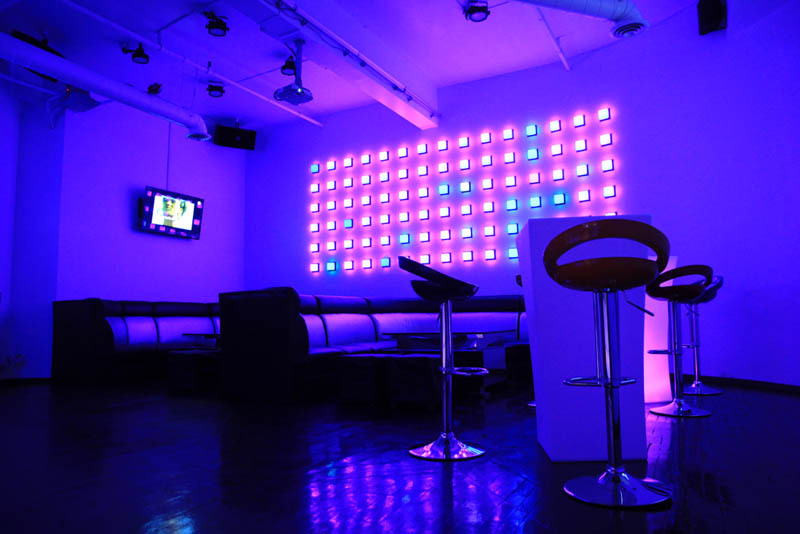 There is L1KTV and MBox that offer VIP private rooms that each have bathrooms and a waitress/waiter service. 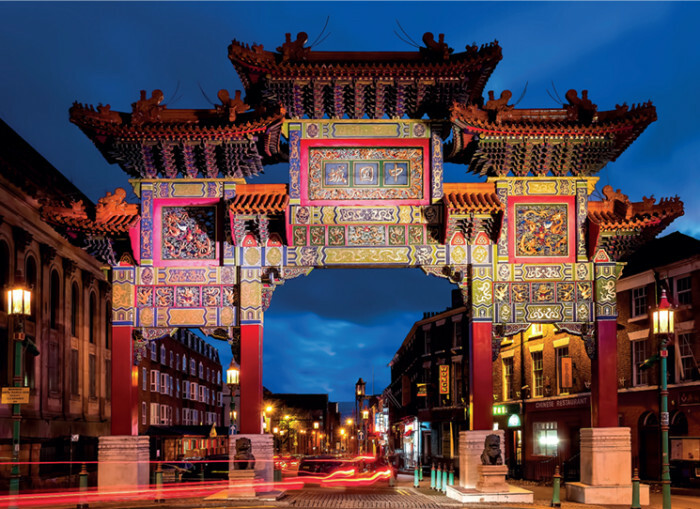 If you’re looking for a Chinese restaurant in Liverpool, most people are bound to head to Chinatown. And if that’s the case your best bet is North Garden. In fact, this Nelson Street staple is so authentic that it is often packed out with the local Chinese community. If that isn’t a stamp of quality, then what is? 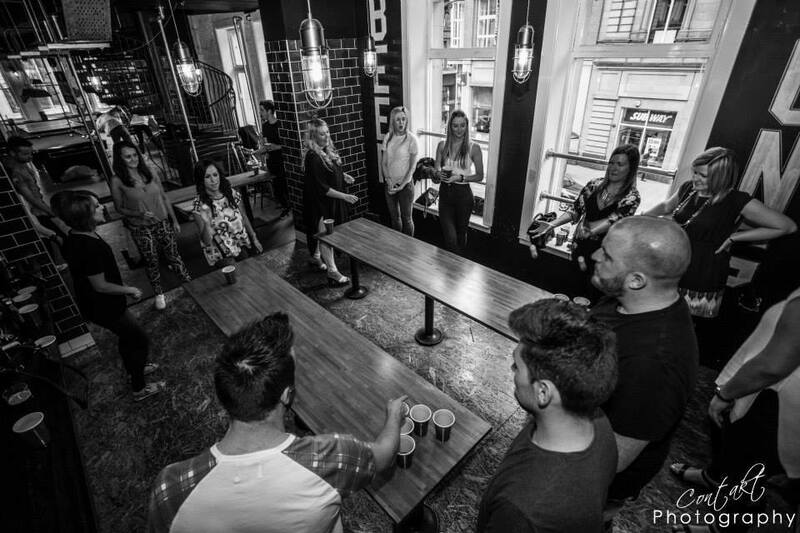 Head over to the Roxy Ballroom and get stuck into a game of beer pong, or have a game of drinking themed ping pong or pool. Maybe have a go at all three and see who comes out on top. 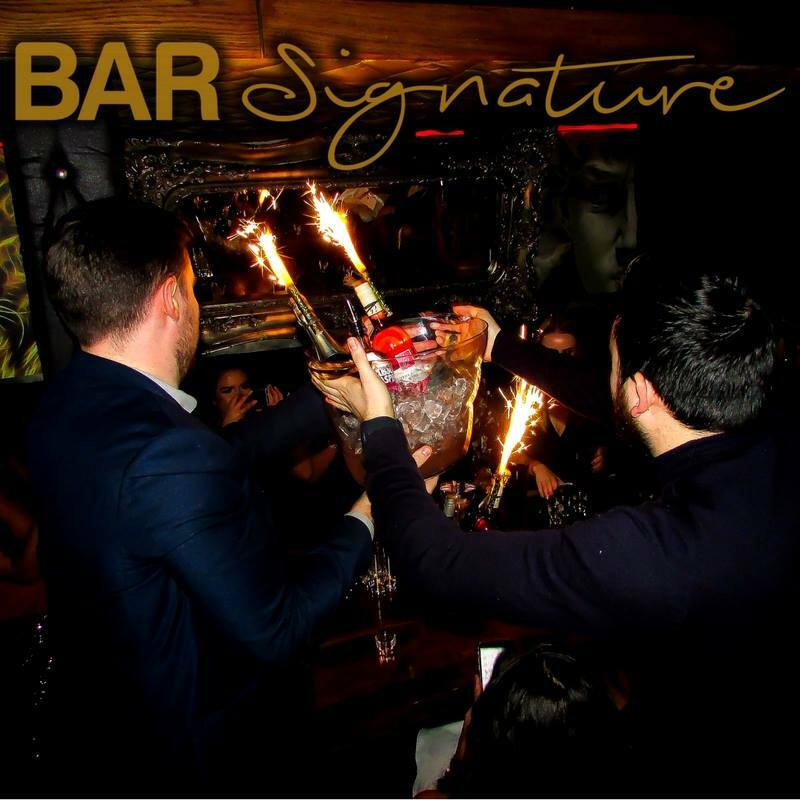 Probably the best venue if you’re looking to book a booth, Bar Sig is a vibrant part of Liverpool’s established nightlight. 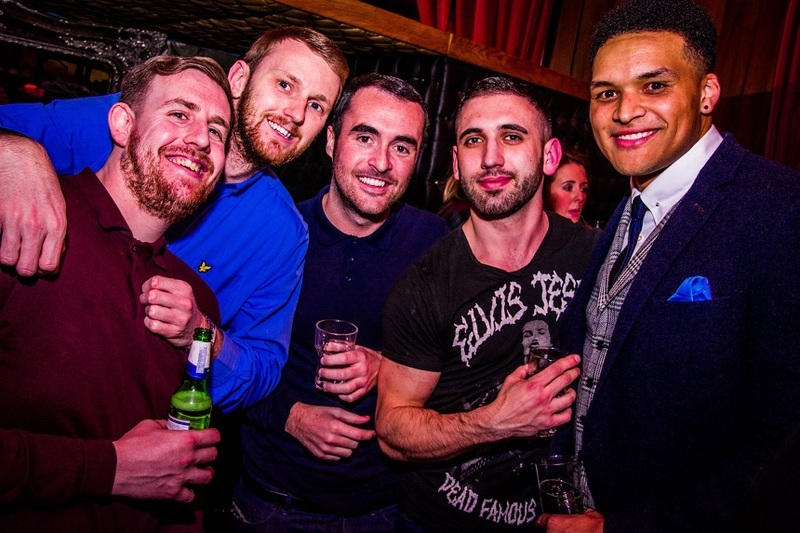 Book your stags a night in Liverpool’s very own circus-themed nightclub for an evening of clowning around. Enjoy shows of daring trapeze acts, fiery dance shows, crazy clowns and acts of contortion. All Mansion’s booths are dotted around the nightclub on various levels and include free entry into the club, three mixers per bottle of spirits and waitress service all night. 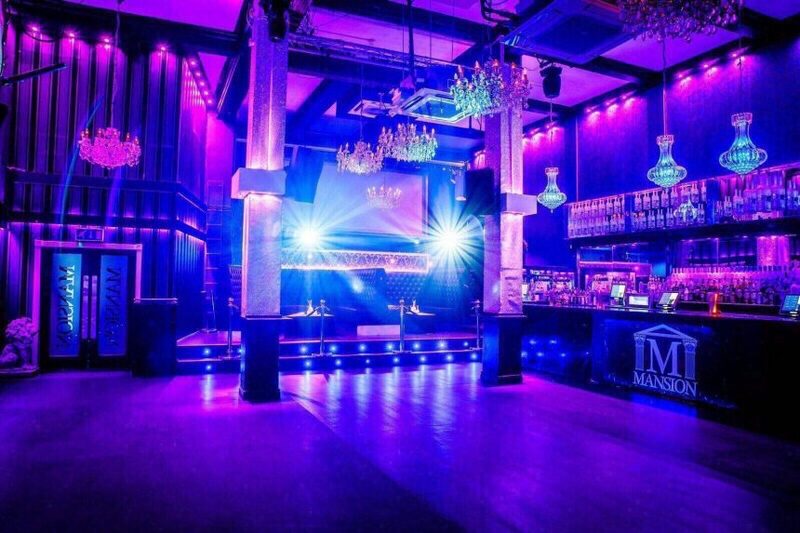 As far as bar booths in Liverpool go, Mansion nightclub has the best selection of club views in the city. 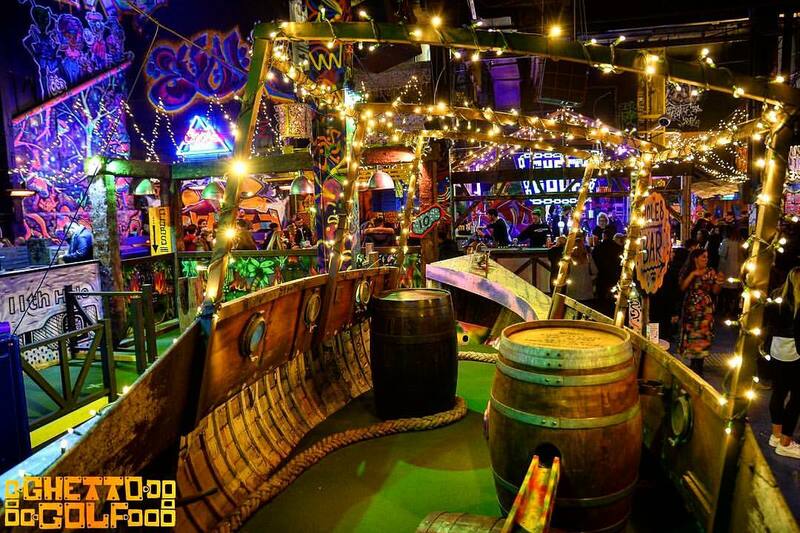 Take a journey below deck into the pirate themed bar, Man’s Ruin. Set sail into seas unknown from the comfort of your own barrel booth. 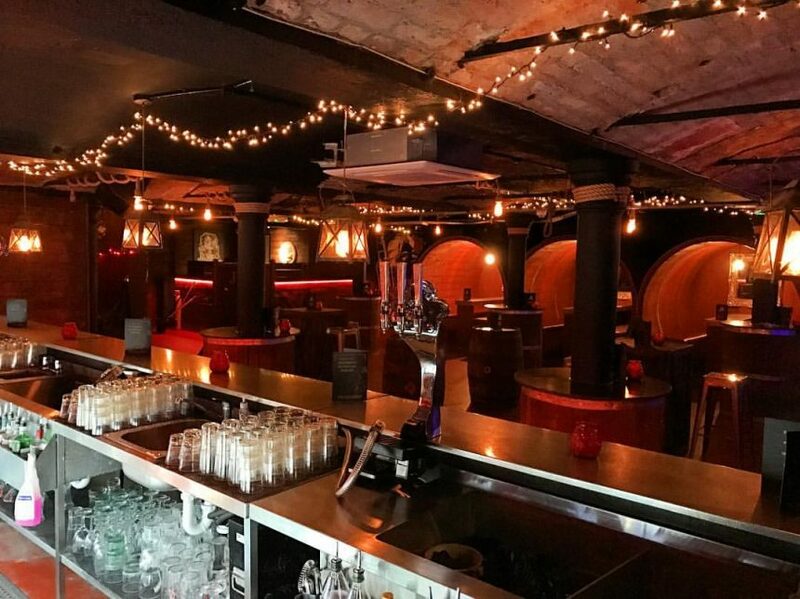 The huge Liverpool bar booths are perfect for getting together with groups of around ten, and drinks and food packages can be arranged to greet your party on arrival. The best bonus of a booth at Mojo is when your favourite power ballad comes on, you and your friends can hop up on the tables and benches to put on your very best air guitar performance. 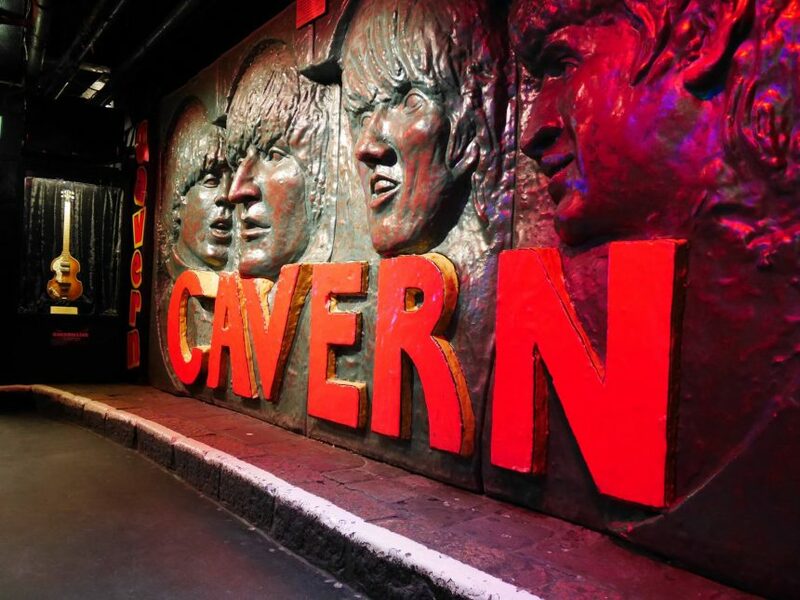 A must on the stag do bucket list, the Cavern Quarter is heaven for Beatles lovers. Visit the Grapes pub, where the cluttered wooden tables and timeworn flowery carpet look as if they haven’t changed in decades. This relatively dingy, reconstructed cellar club on Matthew Street is where the Beatles started out. Or check out the most iconic venue on Mathew Street, the world-renowned Cavern Club. Fridays and Saturdays at the Cavern bring back Beatles mania with their very own resident Beatles band to entertain you. Another fantastic spot on Mathew Street for Beatles fans, Lennon’s Bar is one of a kind. Feeling lucky? 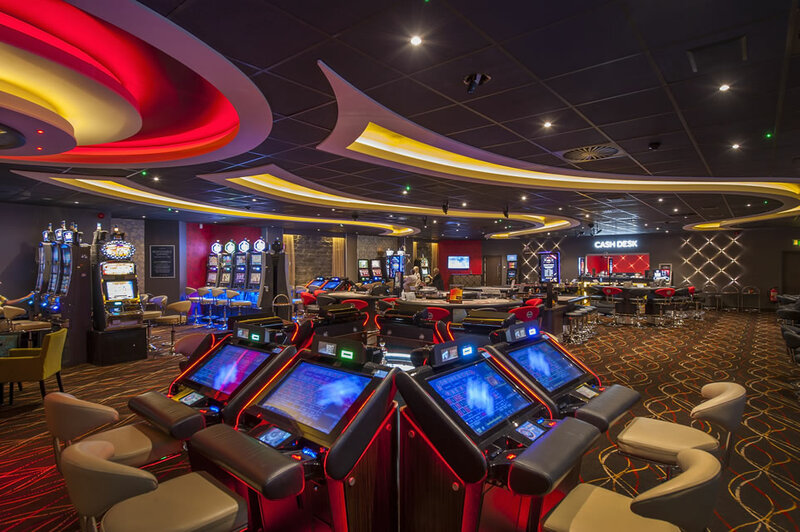 Visit one of Liverpool’s casino’s for a quick flutter. Take a gamble on the Grosvenor Casino Leo or the Genting Casino and keep your fingers crossed. If you fancy a bit of relaxation before or after the big night out, why don’t you and your stags head to a spa and enjoy a manly pampering session. One of the best relaxation havens in the city centre is Morgan’s Spa. Set in the stunning 30 James Street Hotel, they offer a range of treatments tailored for men. Whether it be massages or simply a day relaxing in the sauna and hydrotherapy pool they will ensure your stag party is ready to hit the town looking and felling your very best. After all that partying, you and the boys will be ready for a rest and a big Sunday Roast. From traditional pub roasts from The Monro on Duke Street and the Bastion Restaurant in the Shankly Hotel, to twists on the classic like the sticky roast board from Rockwood Bar and Cue and the Cuban inspired roast from Alma de Cuba, there are so many options you won’t go hungry. 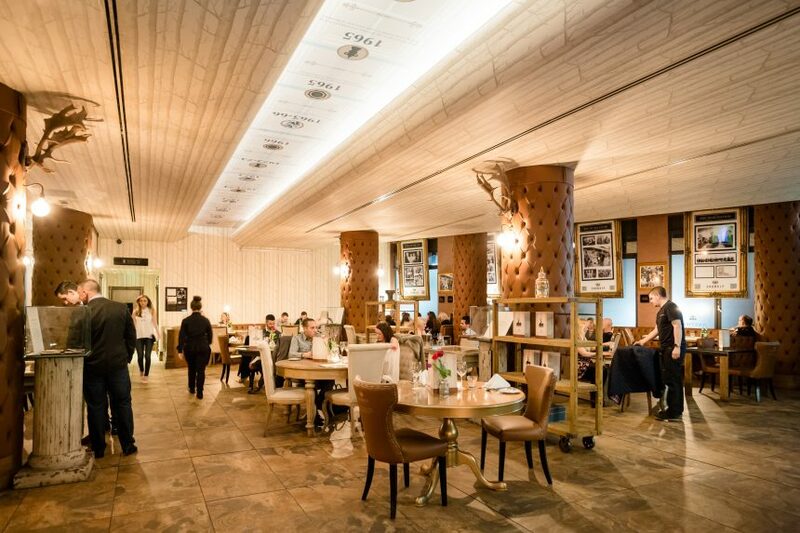 If you’re struggling to decide which is best for you, take a look at our definitive guide to the best places in Liverpool for a Sunday roast. We hope you’ve enjoyed our definitive stag do bucket list, if you think we’ve missed anything off let us know in the comments below.